Analytical Armadillo: Cow and Gate Toddler Formula Milk TV Advert Banned in UK! 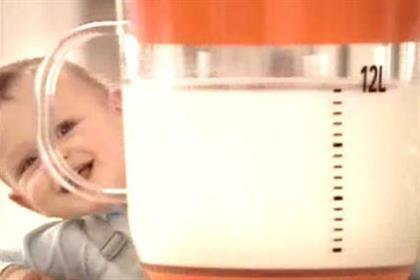 Cow and Gate Toddler Formula Milk TV Advert Banned in UK! I've now stopped doing handstands long enough to blog about this! Many of you will remember my post only last month, having a bit of a rant at the "big follow on con", and specifically how misleading this advert was with it's great big iron scam! An ad for Cow & Gate Complete Care Growing Up Milk has been banned for for falsely claiming that most young children do not get enough iron to prevent development problems. In the TV ad, created by Euro RSCG, a voice over said: "Did you know eight out of 10 toddlers aren't getting enough iron?". Accompanying on-screen text read: “Recommended daily intake of iron = 6.9mg from a variety of iron-rich foods which may include Growing Up Milk.” Three people challenged whether the claim that “eight out of 10 toddlers aren’t getting enough iron” could be substantiated. ; the Advertising Standards Association ruled it could not. 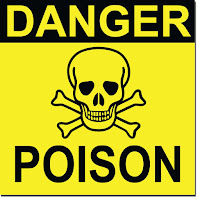 The ASA said it received expert advice that there was no recommended daily allowance (RDA) of iron for toddlers and that, for food labelling purposes, the value of iron recommended for children between the ages of one and three years was set at 6mg. Iron absorption was regulated at intestinal levels and different amounts of iron were absorbed from the diet depending on the requirements of the body. The study by Nutricia examined the diet itself, and not the subsequent absorption of iron contained within that diet, and so could not conclude that the individual children in the study were not getting enough iron, the ASA was told. The ASA found that the figure 6.9 mg was an average recommendation for different aged and shaped toddlers, not the amount of daily iron recommended as being necessary for preventing development problems associated with iron deficiency in individual toddlers, before concluding the ad was likely to mislead. The ad breached CAP TV Advertising Standards Code rules 5.1.1, misleading advertising, and 5.2.1, evidence. The ASA said it should not be broadcast again in its current form. Hurrah! I complained about it as just plain misleading - it seemed to me that it was implying all babies must be drinking 12L milk to get their iron, completely missing the point that baby will be eating solids by toddlerhood, therefore potentially not needing any milk, breast or otherwise, for its iron intake. Yey! I hate hate HATEd that ad! Especially as the on screen small print stated "Milk is not a good source of iron" So mis-leading!!! Love your blog. I read this a few weeks ago and was happy as I hate the ad, but just now saw the ad on E4, and it doesn't seem to be any different?! Bet they make minor changes so that they can still broadcast it - though precisely how I'm not sure yet.